Whether you like Chinese food or not, you need to get the taste of Chifa, if you are in Peru. In Peru the term Chifa is used for both Chinese foods or Chinese restaurant. If they say, I am going to a Chifa, it means they are talking bout a Chinese restaurant, if they say I am going to eat Chifa, then it is Chinese foods. But Chifa is not like the Chinese foods all around the world. It is a bit different. Peruvian Chifa is very different than regular Chinese food that we taste in other countries. Chifa reflects a fusion with Creole Peruvian food, and the unique taste makes it very popular in Peru. If you are in a Chifa restaurant, most probably you will see a menu like what you see in the table below. But don't worry, you don't need to know all the items. I have selected the popular dishes (blue color ones at the list below) and written brief description on them below. 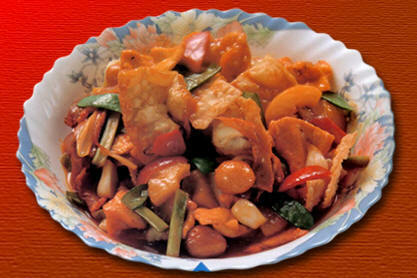 Popular Chifa dishes are Chaufa Rice (Fried Rice),Fried Noodles, Fried wantan, Wantan Soup, Kam Lu Wantan, . Lets get some idea of those Chifa dishes. This is one of the most popular Chifa dishes. 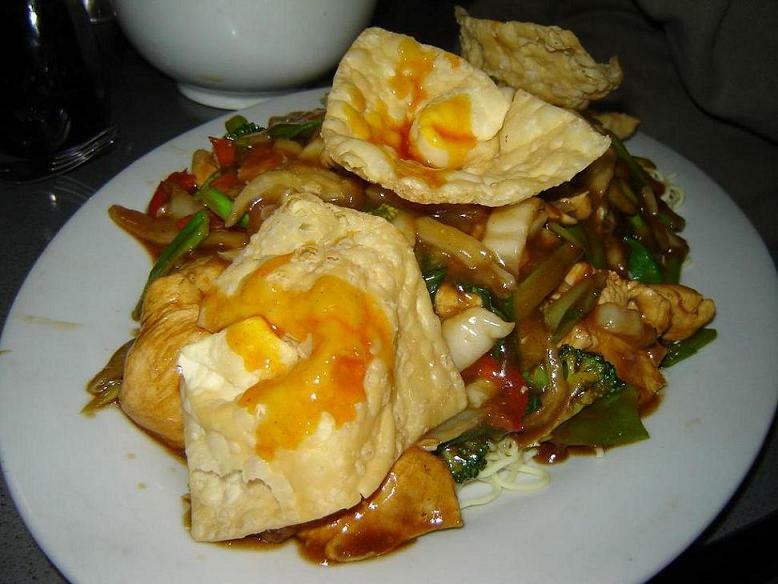 A sweet and sour menu with fried wontons. They prepare it with duck, pig and chicken. Quail egg and pineapple, peach juice and onions and vegetables are other important gradients. 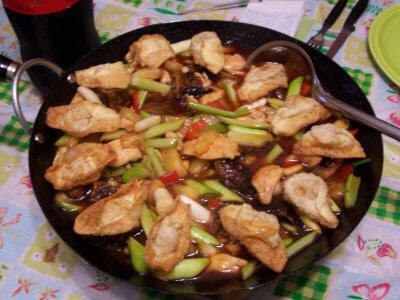 It is a sweet and sour dish, and most popular popular among the visitors. See two pictures below, like it ? This is the Chinese fried rice. But Chaufa is cooked differently than the regular Chinese fried rice. Taste is really good. 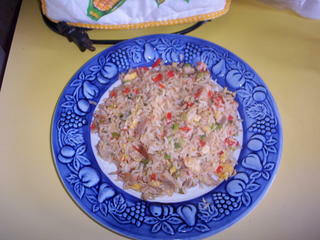 The secret to Chaufa rice is Soy Sauce and it is served with chopped chicken or pork. If you like the taste , and when you come back from Peru, you may like to get the tase again. It is really very easy to prepare at home. First get a pan and heat up some chopped spring onions, diced ham. Now you can add some red bell peppers, it will give it good colors, then chosse your meat, it can be pork, chicken, beef, whatever you like. Remembers meat should be cut into small pieces. Now get all the ingradients and add an egg at the center and mix. Now you have to prepare rice as you normally do and then you add all the stuff in the pan. Most important thing is you have to add soy sauce and stir, and wait until you get it fried. It is done! Is it difficult(? ), Certainly not. 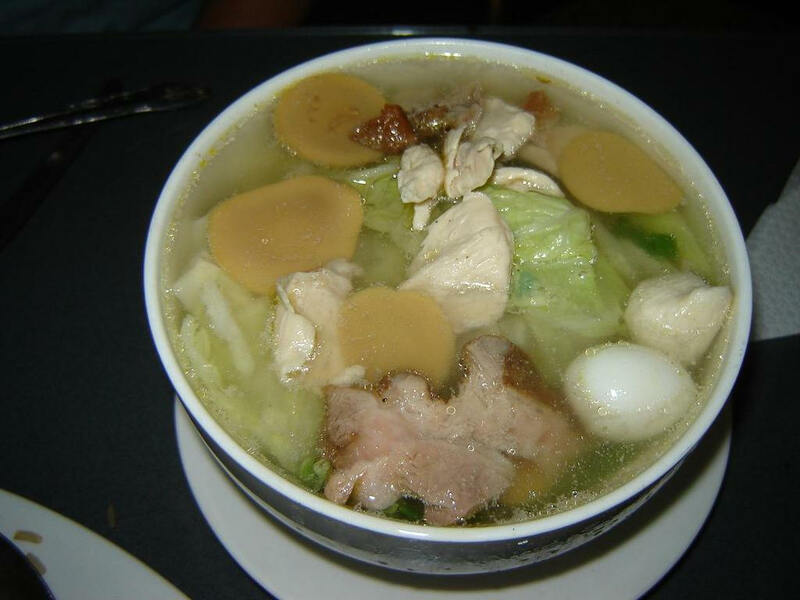 Here in Chifa Wonton soup is very different from the regular Chinese Wonton soup. It contains duck, chicken, vegetables and huge portions. It is another very popular dish in Chifa. It is sweet and sour and likable! I was surprised with Chifa, it is not what we are used to have in China, but it is only better..